In the last half decade, the economy has boomed. Consequently, property ownership rates and consumer spending have skyrocketed! Whether you are one of the many new commercial property owners riding the wave of increasing sales or a long-time proprietor of a business, it's no secret that regular upkeep of your office space is essential to not only having a place that you love to work but also to preserve your space's value. One of the most common things you'll need to take a look at when upkeeping your commercial location is its paint job. So, if you live in the Orange County area and are wondering how hiring a painter works, we've created this article for you! Below, we outline everything you need to know about the paint contractor hiring process so you can find the best one! When hiring a painter, you'll want to meet with the people who will be managing your job in person. Most contractors will be willing to come down to your property and assess its overall condition in order to give you a quote. Be sure to take note of the level of professionalism you're getting from your prospective contractor when they arrive at your business or home. How they interact with you and the level of comfort they instill is the first hint you'll get as to the amount of care they'll put into your painting job. Not all paint jobs are created equal and very few are perfect. If you have particular expectations in regard to the quality of your job, talk to your contractor about it. A good contractor will know what they need to do prep-work wise in order to achieve the exact result you're looking for. The additional prep work involved in special requests may cost you extra but at the end of the day is a small price to pay for the customized results you need. If you're unsure about what contractors to do business within the OC, word of mouth is a powerful way to narrow your search. Talk to family and friends who live and work in Orange Country to see if they have any recommendations. Local office managers are also a great resource. If you can't contact anybody personally for contractor suggestions, check out a contractor's website for testimonials. You can also head over to Yelp, Google, or Facebook to see if strangers can recommend a painter. Every contractor you meet with is going to give you a different price quote. For that reason, it's important to get multiple quotes from multiple teams. Know that you should look for more than just the lowest quote when comparing commercial or residential painting prices. A lot of cut-rate contractors in Orange Country and all over the country will do a job for cheap. They may then leave you with a finished product you won't be satisfied with. Be sure to find a good medium of fair prices and a professional, well-reviewed, trustworthy team when making your final hiring a painter decision. Any time you bring a contractor into your place of business or home, painter or otherwise, it's imperative that they have the paperwork they need to keep you covered. First, you'll want to make sure that the Orange County painting contractor you hire has a valid contractor's license. Your contractor should be able to produce relevant paperwork in regard to their license at your request. Also, make sure that your contractor is insured. A non-insured team could mean you being on the line if one of the contractor's employees gets injured while performing painting duties on your property. Contracts are an excellent way for both parties to be protected from disputes later in a business relationship. They clearly state what is within the scope of a job and what is outside of it. With a contract in place, a contractor won't be able to ask for more money midway through a job. If they do and refuse to continue working, your contract will serve as a legal tool for you to obtain any damages owed. When you're hiring a painter, the professional you're considering should offer you suggestions on what type of paint, from quality to color, they recommend. You should be active in offering feedback on those suggestions and ultimately, should feel comfortable with any decisions that get made. The paint you pick will mean a tremendous amount in how your job turns out. Always be a fixture in any paint-picking conversations so you are not disappointed later with the look of your job. After interviewing and collaborating with a well-referenced contractor, you are almost in the clear with hiring a painter! The final thing you need to be wary of is deposits. There are some painting contractors out there that will demand large deposits. Once they have those deposits in hand, they may do cut-rate work or may not even start your job at all. Most contractors will never require more than 30% up front. So, when hiring a painter, any group asking for over 30% as a deposit or asking for any deposit without a binding contract protecting your deposit should be avoided. If you live in the Orange County area and are looking to hire a reputable residential or commercial-focused contractor to paint your office, commercial building or machinery, we recommend following our tips above. Doing so will protect you and help you locate the best painting professional at the absolute best price! 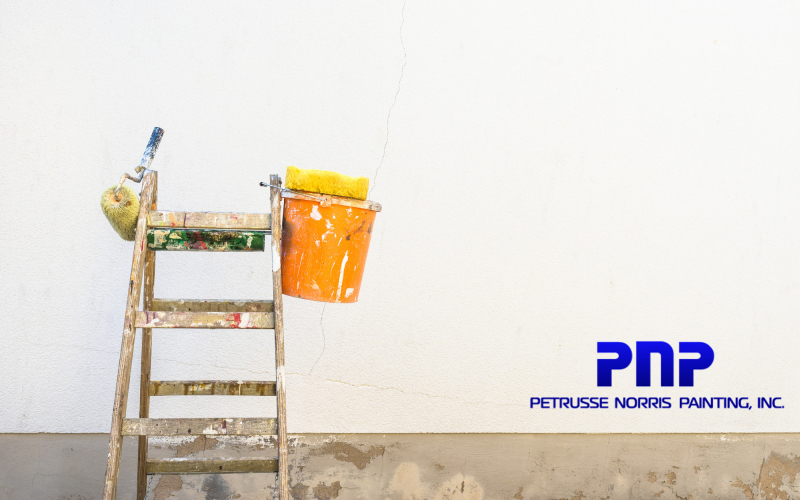 To start your hiring a painter search, consider checking our commercial team at Petrusse Norris Painting. Our group has been managing commercial paint jobs since 1983 and are ready to take our expertise and improve your business today! 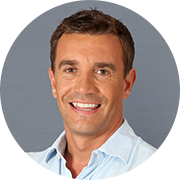 Learn more about our services today and for your free consultation, contact us!